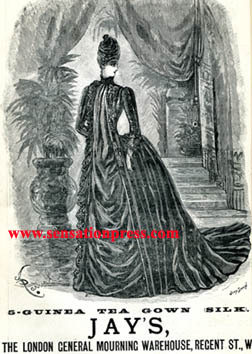 Clothes and fabrics dyed for mourning. Samuel Osmond & Co., Dyers. Family Mourning of Every Description. 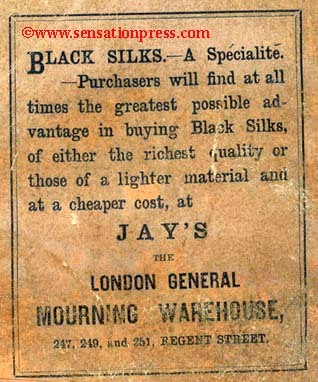 Black silks from Jay's, The London General Mourning Warehouse in Regent Street. 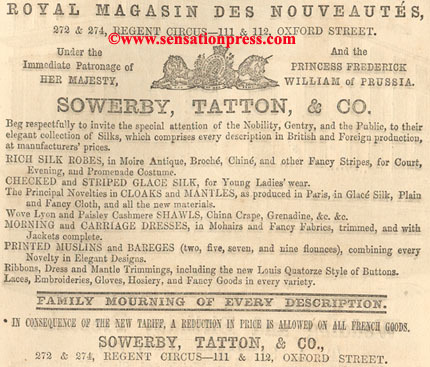 An advert from the back cover of a one shilling paperback novel published by Routledge in 1863. Jay's, The London General Mourning Warehouse. from Jay's General Mourning Warehouse. 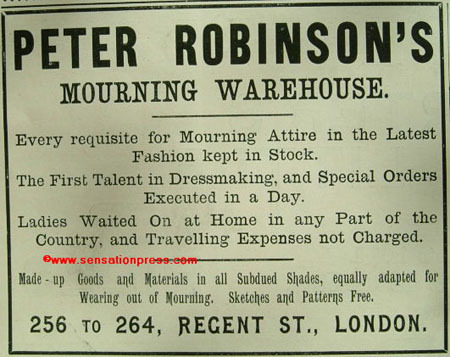 Peter Robinson's Mourning Warehouse in Regent Street, London. An advert from a magazine published in 1894.